Above: Mike Beer, of Oregon, says New Mexico&apos;s Continental Divide Trail&apos;s trail magic "meant the world" on his through-hike last year. Photograph by Jay Hemphill. 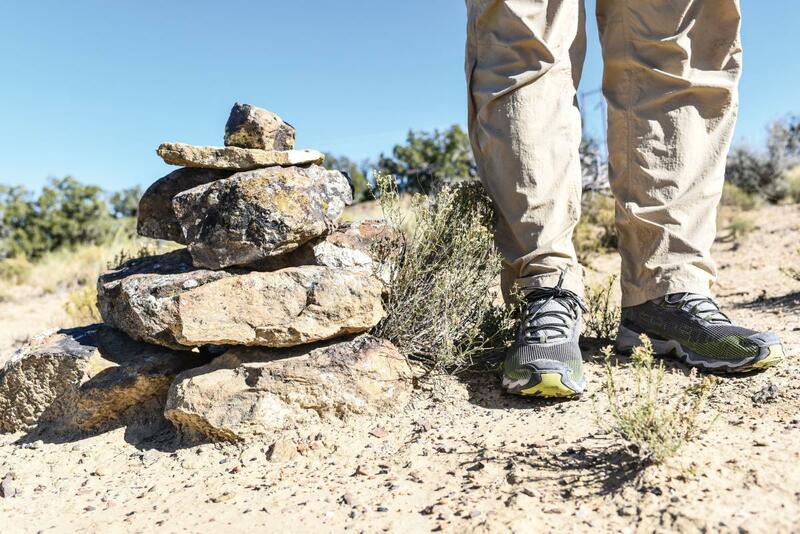 FROM MEXICO TO CANADA, the 3,100-mile Continental Divide National Scenic Trail attracts its share of day hikers and, increasingly, a breed known as through-hikers—people who attempt to lay their Vibram soles on every single mile. Some start at the southern end in the early spring and head north; others choose a later start date and a north-to-south route. Aiding and abetting the hikers and mountain bikers: a quiet army of “trail angels” whose trail magic includes jugs of water and coolers of food. Some offer a night’s stay, bandages, showers, and a free load of laundry. Along New Mexico’s 770-mile stretch, more than a few trail angels heed the call. Meet four here, then look for them on your own CDT expedition. With experience shuttling clients to Silver City for an outfitting service and countless volunteer hours behind the wheel during the annual Tour of the Gila bike race, Reynon was a natural CDT chauffeur. Lacking a suitable vehicle, he bought a GMC Suburban from a family member and put nearly 100,000 miles on it—to Crazy Cook and back, four times a week each spring and fall—before it finally stopped running. Above: A cairn marks the CDT. Photograph by Jay Hemphill. 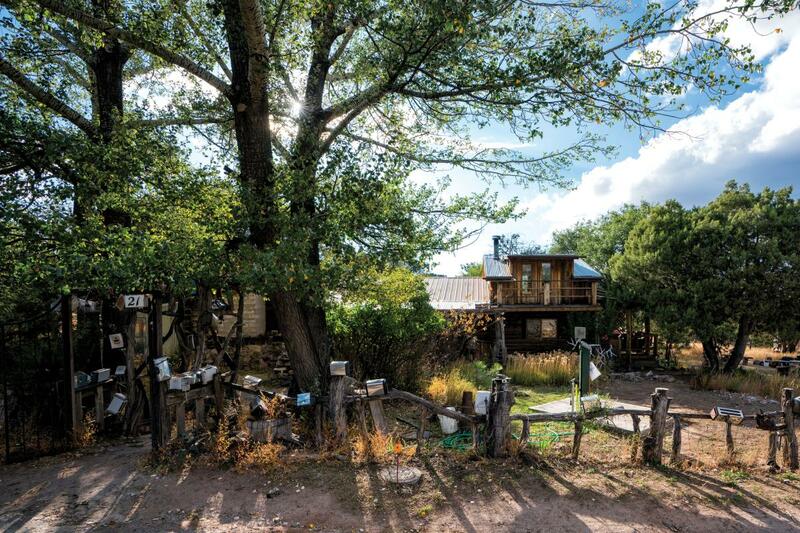 In-the-know through-hikers carry an oddball tip into Pie Town: Look for the fence draped in toasters. The house behind it? Major trail angel. Nita Larronde owns the Toaster House, which acquired its first fence bauble when the family toaster broke down. “It took on a life of its own,” she says. More toasters appeared, as well as a cast-cement hiking boot mounted on a slab of granite—a souvenir of Larronde’s from the Pacific Crest Trail. “I was the American Long Distance Hiking Association Trail Angel of the Year,” Larronde says. In the 1980s, when she and her husband were new to Pie Town, a man with a backpack walked down their street. “He was hiking the Divide, which used the road right in front of the house where we raised our five kids,” Larronde says. She welcomed him in and has welcomed other hikers to the Toaster House ever since. Above: Crystal and Hugh Trujillo invite hikers to share their experiences to fuel homeshcool projects for their children. Photograph by Jay Hemphill. A pair of Australian riders on the Tour Divide ultra-cycling challenge stayed with the Mumms one weekend. They were tackling the Continental Divide Trail from Canada to the tip of South America. (You could tack on even more miles by tracing the Divide to its northernmost point, where Alaska meets the Arctic Ocean.) The Mumms followed the riders for all of those thousands of miles via email. Others, like the first couple the Mumms hosted, also stay in touch. “We’ve gone through them dating, getting married, and having a child,” Carole says. Above: Old toasters decorate the fence of Toaster House angel Nita Larraonde. Photograph by Jay Hemphill. 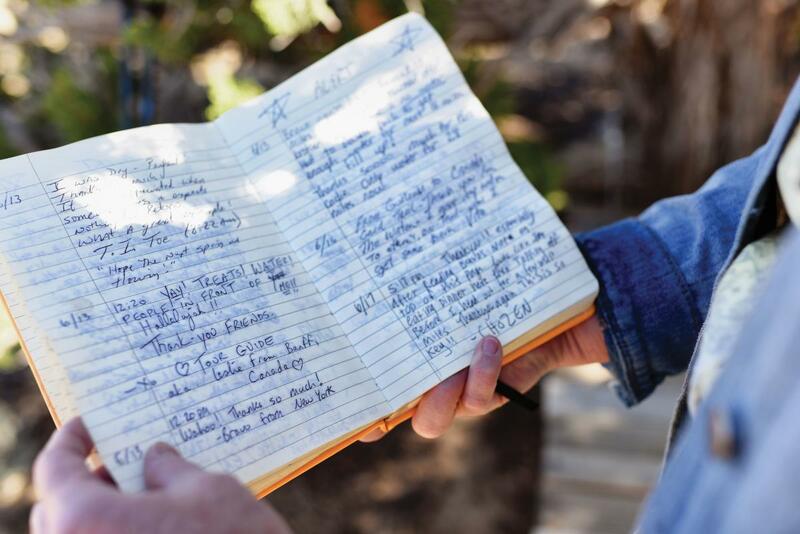 During their first season, the Trujillos met no hikers, but in 2016 they added the logbook and started hanging out at the cache during peak season. “We’ll go out there in the evenings with a Dutch oven and feed whoever shows up,” she says. About 770 of the 3,100 miles making up the Continental Divide National Scenic Trail run through the Land of Enchantment. This part of the journey between Canada and Mexico introduces through-hikers to landscapes as varied as Chihuahuan Desert grasslands and summits of the Rocky Mountains. Some take the route all at once, others in small sections. It’s open for horseback riding, cross-country skiing, snowshoeing, bicycling, and wildlife viewing, too. The Continental Divide Trail Coalition’s website (continentaldividetrail.org) describes some of New Mexico’s most scenic sections, like an eight-mile stretch in the San Pedro Parks Wilderness and the southernmost 50 miles, between Hachita and the Mexico border. The U.S. Forest Service’s website (fs.fed.us) also has route descriptions and directions to trailheads. Visit your local U.S. Forest Service office to get a map, or type “Continental Divide Trail” and the name of the forest nearest you into a search bar. Each spring, Silver City kicks off the CDT season with Trail Days. 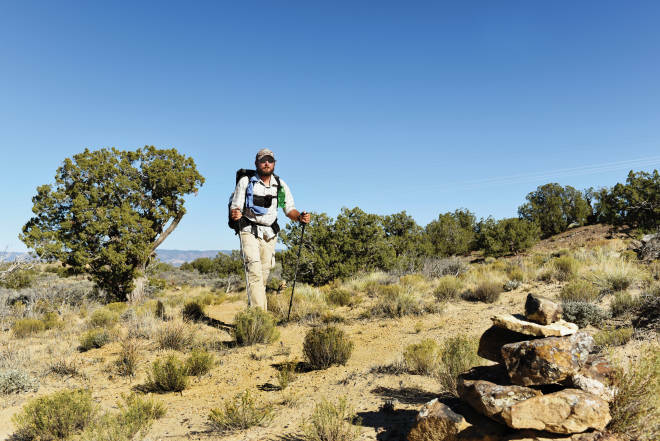 Hosted by the Continental Divide Trail Coalition, a nonprofit that works to protect, promote, and preserve the trail, the events run April 27–29 this year on the Western New Mexico University campus. Hit up free lectures, activities, and excursions and get to know the through-hiking community of hikers, trail angels, trail adopters, gear company representatives, and other outdoor enthusiasts. Find details and a schedule at continentaldividetrail.org/trail-days-2018.